Nardwuar the Human Serviette's trip to SXSW continues to deliver the goods with hilarious new interview clips. Today, he's taken on MMG rapper and Seinfeld nut Wale. Thanks to Wale's serious responses, this is likely the least funny of the batch. That's not a bad thing, however — in fact, it's a further testament to Nardwuar's skills as an in-depth interviewer that he can keep us engaged for a less zany talk. 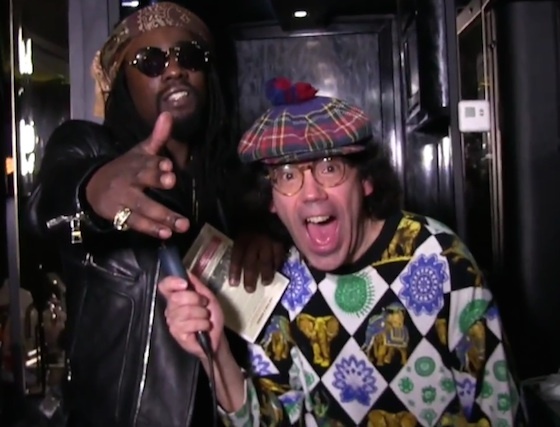 Watch Nardwuar's interview with Wale below, and catch up on his other talks with ILOVEMAKONNEN, Rae Sremmurd and Migos.